Summary: Focus on automation and computerization of paper-based processes caused early CAD and GIS technology to appear competitive. 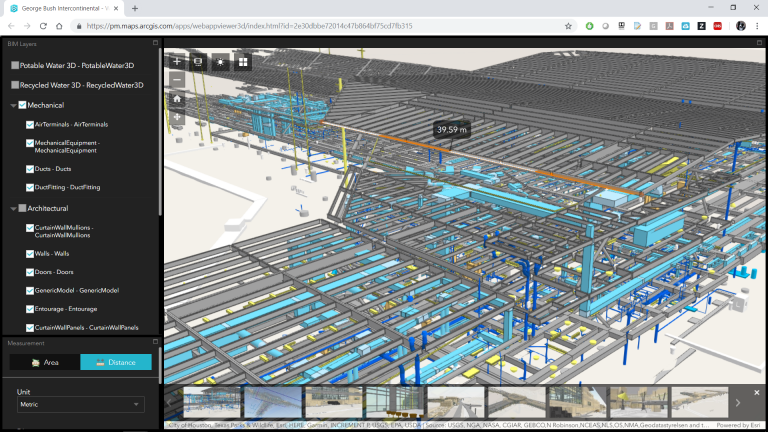 The move to more fully digitalized workflows has differentiated these technologies and introduced new processes and techniques, such as BIM. 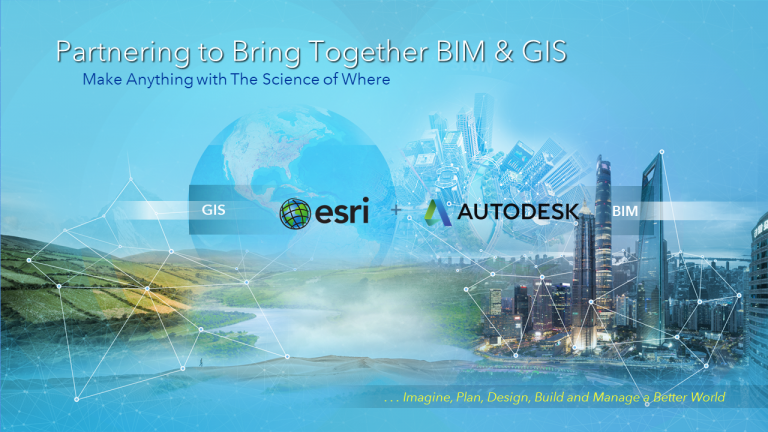 Advancements in storage, compute and the distribution of data on the internet will enable BIM-GIS integration to bring tremendous value to engineering project delivery and asset management and operations for built infrastructure and the managed environment around it. In the 1980’s and 90’s, CAD and GIS technology emerged as competitive alternatives for professionals who needed to work with spatial information that was mostly processed using the prevailing media of the time, paper. 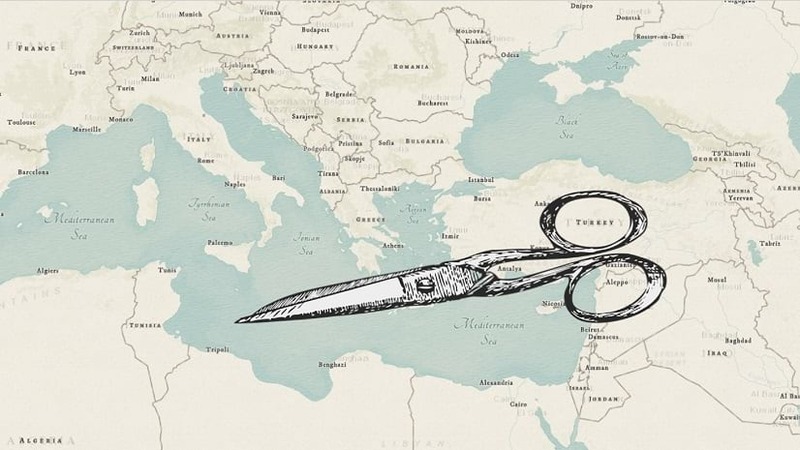 In that era, the sophistication of software and capacity of hardware limited the scope of what could be done with computer-assisted technology for drafting and for map analysis. CAD and GIS appeared to be overlapping versions of computerized tools for working with geometry and data to produce paper documentation. As software and hardware have become higher performance and more sophisticated, we have witnessed the specialization of every technology around us, including CAD and GIS, and the drive toward fully digital (also called ‘digitalized’) workflows. CAD technology initially focused on automating manual drafting tasks. Building Information Modeling (BIM), a process to achieve better efficiency during design and construction, has gradually pushed CAD and BIM design tools away from drawing creation and toward intelligent digital models of real-world assets. The models created in modern BIM design processes are sophisticated enough to simulate construction to find defects early in design and to generate highly accurate estimates of budget compliance throughout dynamically changing projects, for example. GIS has also differentiated and become deeper in capability over time. GIS can now handle billions of events from live sensors, serve visualizations from petabytes of 3D model content and imagery to a browser or mobile phone, and perform complex predictive analysis scaled over multiple dispersed processing nodes in the cloud. The map, which started out as a paper analytical tool has been transformed into a dashboard or communication portal for synthesizing complex analysis in a human-interpretable form. To realize the full potential of integrated workflows between BIM and GIS, critical to domains such as Smart Cities and Digitalized Engineering, we need to examine how these two worlds can move beyond legacy industry competition and forward toward complete digitalized workflows that will allow us to disengage from the paper processes of the past several hundred years. In the GIS community, one of the more common things that I see and hear is definitions of BIM based upon outside-in understanding of the BIM world. I frequently hear that BIM is for facilities management, visualization, 3D modeling, or that it is only for buildings, for example. Unfortunately, none of these is truly what BIM is primarily used for, though it may extend or enable some of these capabilities or functions. Essentially, BIM is a process for saving time and money and achieving high confidence outcomes during the design and construction process. The 3D model generated during BIM design processes is a byproduct of the need to coordinate a particular design, capture an as is structure to assess demolition costs, or to provide a legal or contractual record of a change to a physical asset. Visualization can be part of the process in that it helps humans understand the dynamics, characteristics, and aesthetics of a proposed design. As I learned long ago at Autodesk, the ‘B’ in BIM stands for ‘Building, the verb’ not ‘Building, the noun.’ Autodesk, Bentley, and other vendors have worked with the industry to infuse the concepts of BIM process in domains such as rail, roads and highways, utilities, and telecommunications. Any agency or organization that manages and builds fixed physical assets has a vested interest in making sure that their design and engineering contractors use BIM processes. BIM data can potentially be used in operational workflows for asset management. This is stated, for example in the new ISO standards for BIM that have been informed by the UK’s standards process established in the last 10 years. Even though these new proposals are focused on use of BIM data in the full lifecycle of an assets, it’s still clear that construction cost savings, as stated in the article, are a primary drive for BIM adoption. When seen as a process, integrating GIS technology with BIM becomes vastly more complex than just reading graphics and attributes from a 3D model and showing them in GIS. To really understand how information can be used across BIM and GIS, we often find that we have to redefine our concept of a building or a roadway and to understand how customers need to use a wide range of project data in geospatial context. We also find that focus on the model sometimes means we’ve overlooked simpler, more basic workflows that are essential to the whole story, such as using accurately collected field data on a constructions site to link location and model data for inspection, inventory, and survey. Ultimately, we’ll only achieve common understanding and results if we ‘cross the aisle’ to work in combined teams who can bring diversity to problem solving. That’s why we’re working with Autodesk and other partners in this space. One of the more difficult concepts to convey to a non-BIM-specialist-GIS-user is that the BIM model that looks like an accurate bridge or building doesn’t necessarily have the features that make up the definition of a building or bridge for mapping or geospatial analysis purposes. At Esri, we’re working on new experiences for inside-the-building navigation and resource management, such as ArcGIS Indoors. Many users have expected that with our work on Autodesk Revit data, we would automatically be able to extract common geometries such as rooms, spaces, floorplans, the building footprint, and a building shell. Even better, we could extract the navigation mesh for how a human would traverse the structure. All of these geometries would be highly useful for GIS applications and for asset management workflows. Yet, none of these geometries are necessary to construct the building and typically do not exist in a Revit model. We are examining technologies to calculate these geometries, but some offer complex research and workflow challenges that have stumped the industry for years. What is the watertight, shrink-wrapped shell of a building? Does it include the foundation? How about balconies? What is the footprint of a building? Does it include overhangs? Or is it only the intersection of the structure with the ground? To guarantee that BIM models contain the features needed for GIS workflows, owner-operators will need to define specifications for that information before design and construction begins. Much like classic CAD-GIS conversion workflows in which the CAD data are validated before being converted into a GIS, the BIM process and the data that results from it need to specify and include features that would be used during lifecycle management of a structure, if that is a goal of creating the BIM data. There are organizations around the world, typically governments and operators of controlled campuses or systems of assets, who have started to require lifecycle features and attributes to be included in BIM content. In the US, the Government Services Administration is driving new construction through BIM requirements and agencies like the Veterans Administration have gone to great lengths to detail out BIM elements, such as rooms and spaces, that will be useful in facility management after the building is constructed. We have found that airports, such as Denver, Houston, and Nashville have strict control of their BIM data and frequently contain highly consistent content. I have seen some great talks by SNCF AREP who built an entire BIM program for rail stations based on the concept that BIM data would be required to be used in asset management and operations workflows. I expect to see more of this in the future. In the push to true digitalization, a digital representation of an asset needs to be accessible quickly in a distributed environment that can be updated and upgraded to adjust to more complex query, analysis, and inspection over time and across the lifespan of the asset. One data model cannot encompass everything that could be integrated in BIM and GIS across highly diverse industries and customer needs, thus there is no one format that can capture the entirety of this process in a manner that could be quickly accessed and bidirectional. I expect integration technologies to continue to mature over time as BIM becomes richer in content and as the need to use BIM data in GIS context for lifecycle asset management becomes more critical to sustainable human habitation. 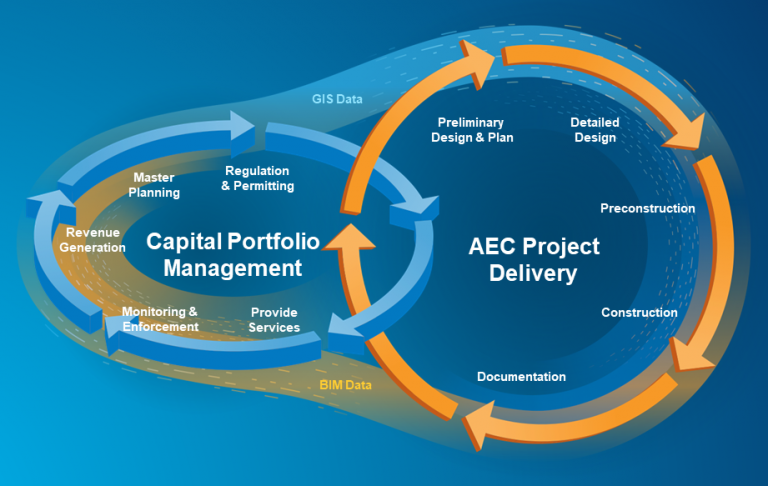 The puropose of BIM-GIS integration is to enable the workflows for building assets and for managing them. There are not discrete, well defined hand-offs between these two workflows. Conversely to the discussion about finding GIS features in BIM data, we often hear that it’s not reasonable or possible to directly use BIM content in GIS for reasons ranging from semantic complexity to asset density to asset scale. The discussion about BIM-GIS integration typically turns toward file formats and Extract, Transform, and Load (ETL) workflows. In fact, we are already directly using BIM content in GIS. 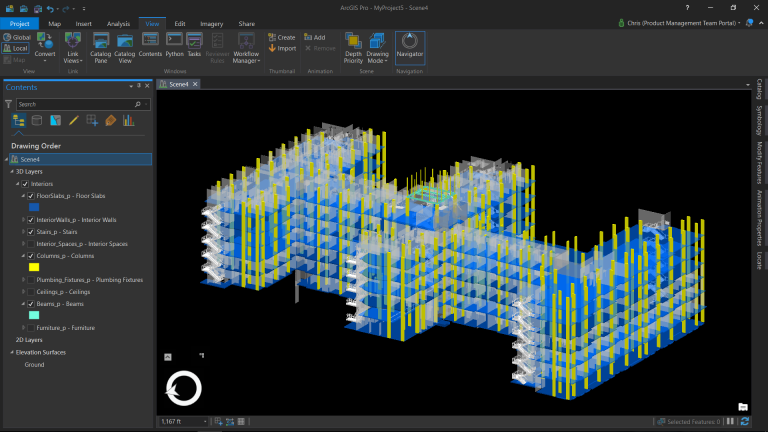 Last summer, we introduced the ability to directly read a Revit file in ArcGIS Pro. At that time, the model could be interacted with in ArcGIS Pro as if it was composed of GIS features and then transformed to other standard GIS formats through manual effort, if desired. With ArcGIS Pro 2.3, we are releasing the ability to publish a new layer type, a Building Scene Layer, that allows a user to encapsulate the semantics, geometry, and attribute detail of a Revit model in highly scalable format built for GIS experiences. The Building Scene Layer, which will be described in the open I3S specification, feels like a Revit model to the user while allowing interaction using standard GIS tools and practices. I have been fascinated to find that due to the availability of more bandwidth, cheaper storage, and cheaper processing, we are moving from ‘ETL’ to ‘ELT’ or Extract, Load, and then Translate workflows. 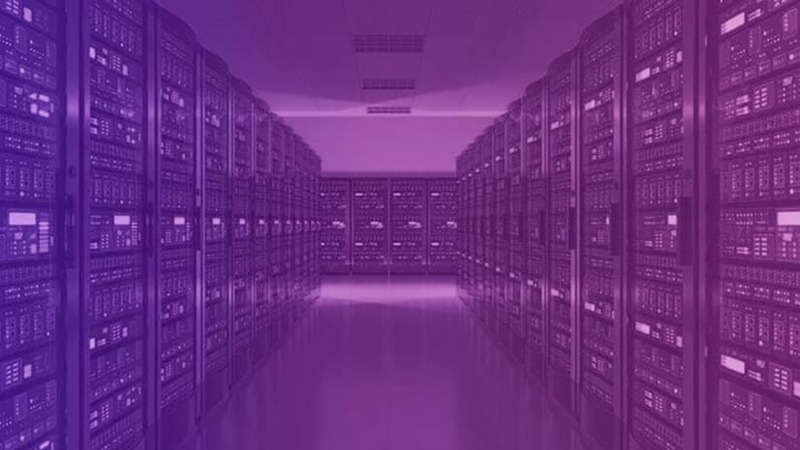 In this model, the data are essentially loaded into whatever systems that need it in their native form and then are accessible for translation in a remote system or data warehouse where analysis will be performed. This reduces dependency on processing at the source and preserves the original content for better or deeper transformation when technology improves. We are working on ELT at Esri and I seem to have stumbled upon the core value of this change when I referred to ‘removing the E and the T from ETL’ at a conference last year. ELT changes the conversation dramatically away from the scenario in which the user always must be linked out of the GIS experience to search or query the model in its full detail. 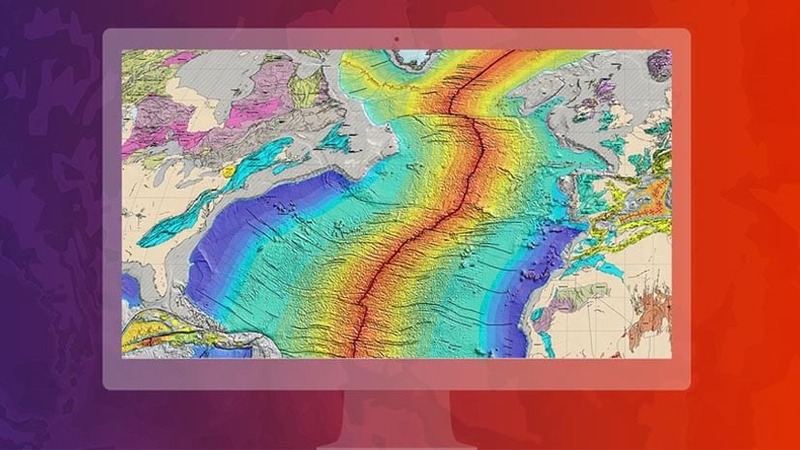 By directly loading data in the ELT pattern, we are opening possibilities for update and deeper future analysis that may not be possible today. 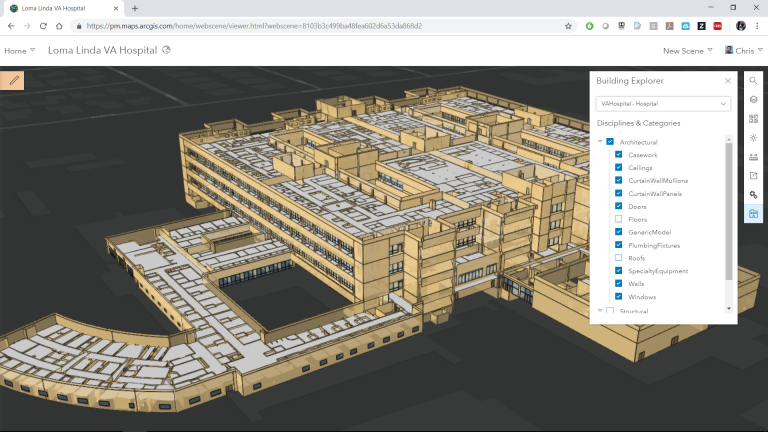 Thanks to the US Veterans Administration, we've been able to experiment with a hospital as a Building Scene Layer, preserving geometry, attributes, and semantics in the GIS. I have two words: “Legal record.” BIM documentation is often the legal record for recording business decisions and compliance information that is recorded for construction defect analysis and lawsuits, tax and code assessment, and as a record of a deliverable. In many cases, architects and engineers are required to stamp or certify that their work is valid and meets the requirements of their specialty and applicable laws or codes. At some point, it’s conceivable that GIS could be a system of record for BIM models, but at this point, I believe this is years or decades away, anchored by legal systems that are still computerized versions of paper processes. We are looking at workflows to link assets in GIS to assets in BIM repositories so that customers can take advantage of the versioning and document management required in the BIM world alongside the ability of a map to put asset information in rich geospatial context for analysis, understanding, and communication. Similar to the “GIS features” part of the discussion, integrating information across BIM repositories and GIS will be greatly assisted by standardized information models in GIS and BIM that allow applications to reliably link information across the two domains. That doesn’t mean that there will be a single information model to capture both GIS and BIM information. There are too many differences in how the data need to be used. But we do need to be sure that we build flexible technology and standards that can accommodate the use of information across both platforms with high fidelity and conservation of information content. 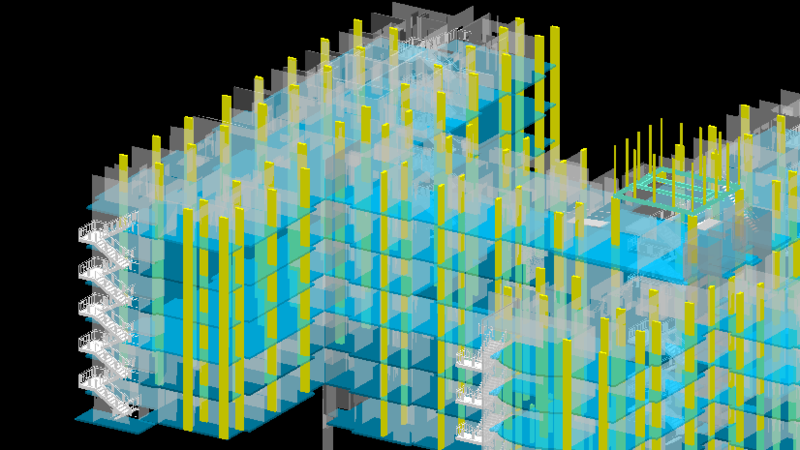 The University of Kentucky was one of the first customers to give us access to their Revit content. UKy uses rigorous drawing validation to make sure that the right data are in the BIM data to support full lifecycle O&M. Changes in hardware and software capability and the move to a data-driven, digitalized society are creating opportunities for integrating diverse technologies and domains that never existed before. Data and workflow integration across GIS and BIM enable us to realize greater efficiency, sustainability, and habitability of the cities, campuses, and workplaces all around us. To capitalize on technology advancements, we need to create integrated teams and partnerships to propose solutions to complex problems that impact whole systems, not discrete, stove-piped workflows. We also need to fundamentally shift toward new technology patterns that can address integration issues with more robustness and flexibility. GIS and BIM integration patterns that we adopt today need to be ‘future proof’ so that we can work together toward a more sustainable future. Chris Andrews is an experienced product management and technology leader who thrives on solving problems, establishing high performance teams, and connecting people and businesses in positive collaborations. 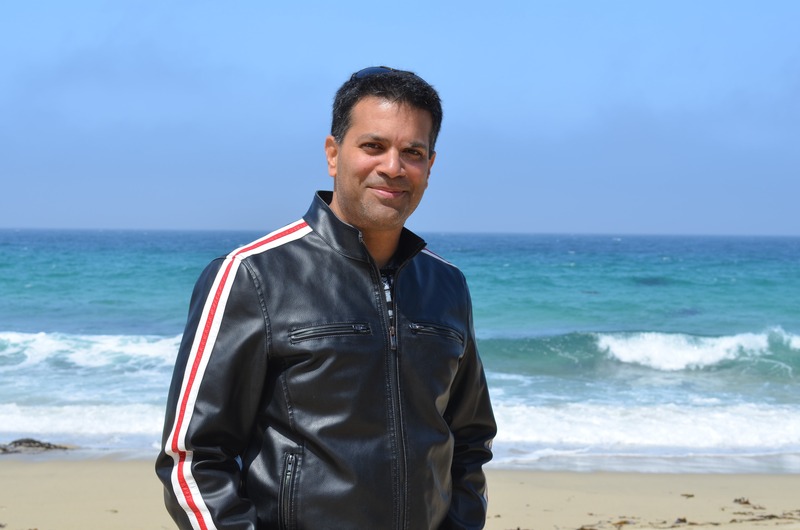 He currently is the senior product manager for 3D across the ArcGIS platform at Esri, based in Southern California. Andrews has focused on strategic innovation, defining and driving to production new products at top tier software companies. He strives to positively impact millions of GIS users through better experience and by connecting data and technology to solve problems. Andrews is a 3D evangelist who has numerous speaking and writing credits to his name. He is active on social media and provides mentoring on 3D, product management, and technical career growth. 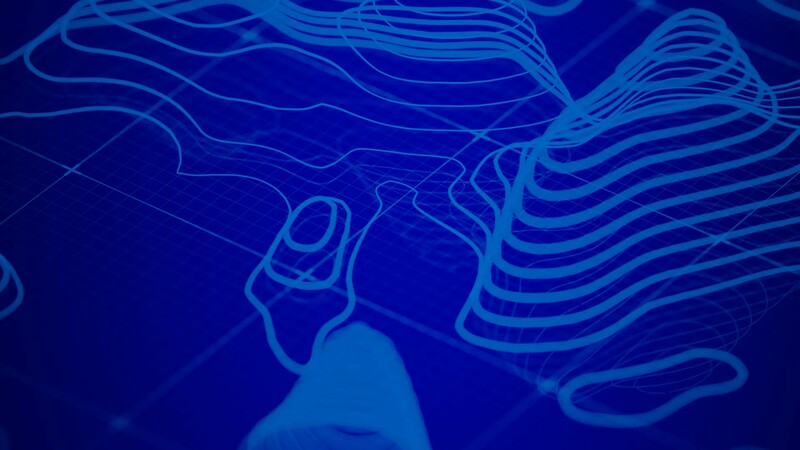 Take a look at some of the highlights for 3D at the 2018 Esri International User Conference! I can now open Revit .RVT files as ArcGIS feature classes using ArcGIS Pro 2.2.